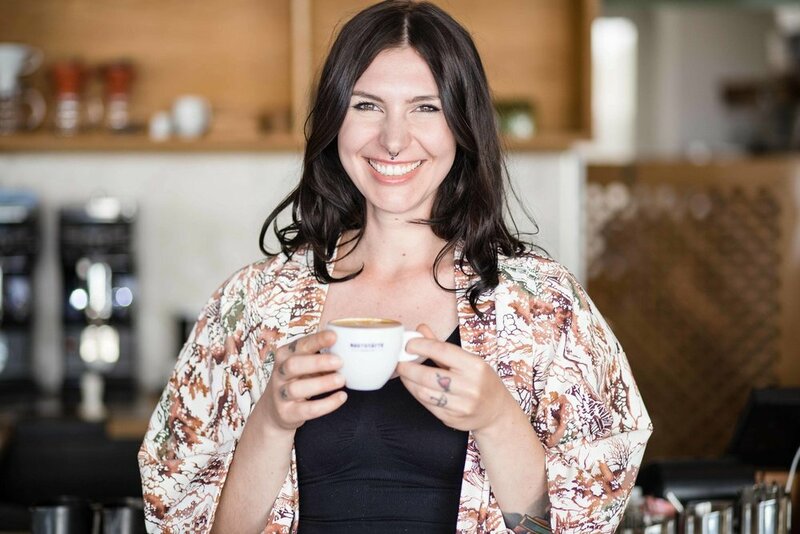 Rahel, aka Rachelle Katz, is a born Berliner and has worked as a barista as well as marketing and public relations manager for Father Carpenter. 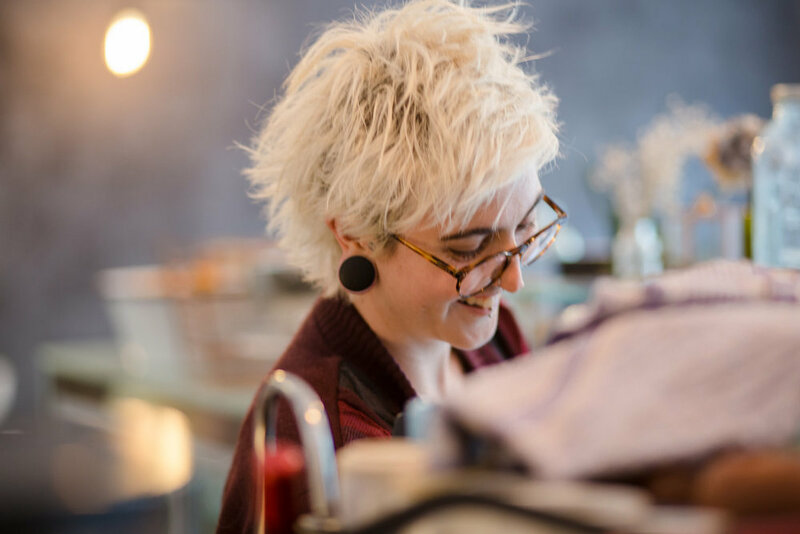 She recently started supporting the guys from Happy Baristas with implementing table service and bringing a new approach to customer communication to their coffee shop in Friedrichshain. 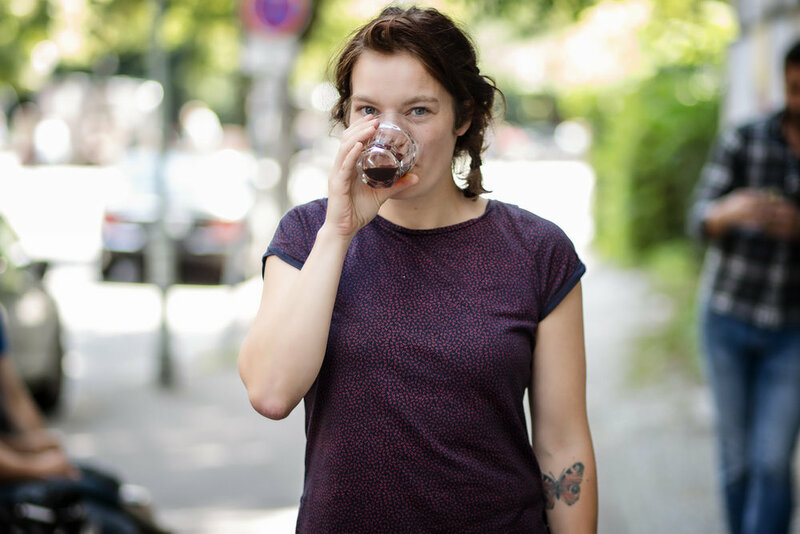 Read about Rahel's approach on hospitality, her ambitions to compete and how she prepares for the upcoming German Aeropress and Barista Championships. Rahel, how did you get into coffee? Sometime in 2013 I heard about a new café around the corner from where I was working, so I went to see what it, my friend called it ‘Australian coffee’, was. I placed my usual order: a Latte Macchiato. The barista told me he could make a café latte instead. I went for it and with the first sip, I was totally blown away by the flavours, it was like an awakening! The espresso was pleasingly acidic and I really enjoyed the smooth texture of the milk that tasted super sweet. Driven by the desire to figure out why this coffee was so different to anything I’ve known before, I started doing research. That's when I slowly began to understand that there’s way more to coffee then just the stuff that wakes me up in the morning. At the time I was managing Cupcake Berlin, which was a good job, but I was eager to learn more about specialty coffee. I went to undertake a beginner's barista course at the Berlin School of Coffee and got my first job at Double Eye. The foundation was set, but I wanted more, I wanted to progress. Shortly after, Father Carpenter started their ‘Rookie Program’, aiming to hire for attitude and train for skills. At that point I was studying Communication and Management at Uni and training to become a skilled specialty coffee barista. After only six months at Father Carpenter, I knew that coffee is what I want to do in my life. I left uni to take on a full-time position at Father Carpenter Coffee Brewers, which in hindsight was a fantastic decision. After working at Father Carpenter for 1,5 years now, you're moving on to Happy Baristas. What's your role going to be? At Father Carpenter I've become a spot on hospitality person. Marian and Roland from Happy Baristas saw potential in hiring someone like me as a front of house person. They are in the process of implementing table service and I'll be supporting them in their mission to make coffee more approachable – with strong communication skills. What we are trying to achieve over the course of the next 4 months is to create a more holistic customer experiences. As I am currently training for the Germany Barista Championship, Marian, who is a competitive barista, is a great person to learn from and be trained by. Working at Happy Baristas gives me the opportunity to train under less volume and in more detail. The café has just the right environment for that. What do you love about the two coffee shops, Father Carpenter and Happy Baristas? At Father Carpenter you get the whole package: really good food, delicious coffee and excellent service. The philosophy behind it all, is to increase the quality of life – even if it’s just for these 30 minutes you’ve spend at the café. That's basically it in a nutshell. Happy Baristas has the aim to make specialty coffee approachable, understandable and accessible for everyone. They're very strong with signature drinks to get people interested and involved, they’re offering a rich and diverse drink menu, not only to please the customer, but also to give the opportunity to access specialty coffee from multiple angles. Happy Baristas are generally very invested in and welcoming to specialty coffee newbies. They also put as much emphasis on nitro teas, to showcase the magnificent flavor profiles of tea and tea drinking in general - a beverage with a thousand year old history. You've told me you're participating in German Aeropress Championship for the first time. How does the preparation look like? And then in winter in the German Barista Champions, how are you preparing for that one? The Berlin Coffee Festival is coming up this weekend, so we will have a lot of green buyers, roasters and coffee professionals in town. This is very helpful for my coach Marian (Happy Baristas), my roaster Maren (Ernst Kaffeeröster) and myself. We’ll cup different coffees, experiment and hopefully gather some impressions that will feed into my routine. This is going to be the first step. I want to compete because I want to learn a lot and get better, but I also want to tell a story. So my competition’s theme is just as close to my heart as the divine coffee I’ll be using. Competing on a national level provides a good stage to talk about certain issues and challenges we are facing in the industry, so it'll be a good audience for the phenomenon I am trying to display and describe in my competition’s narrative. It'll have a certain political approach to coffee and women in coffee. I obviously can't give away too much at this point. I am moving to Australia in 2018, thanks to a scholarship, for Sommelier classes. Working in coffee made me understand the multiple layers of hospitality as well as experiencing flavours in a whole new way. First came coffee, then came wine, I’ve recently even started to enjoying Whiskey, for example! Once you learn to ‘listen to what you taste’, the entire food and beverage industry becomes such a wild beautiful playground. I am looking forward to learn more about every single aspect. After the sommelier classes, whilst obviously working in coffee still, the next step could be to become a chef or a pastry chef, anything that extends my horizon basically. I’ve got another good 50 years on this planet (knocks on wood) and I don’t want to stop learning and improving ever. I can predict that I’m not going to get tired of engaging people in the greater beauty of taste and talking about a wholesome approach to the products we’re sourcing and consuming. Thanks so much Rahel and best of luck for your competition goals! and check out my guide to Berlin specialty coffee shops here.